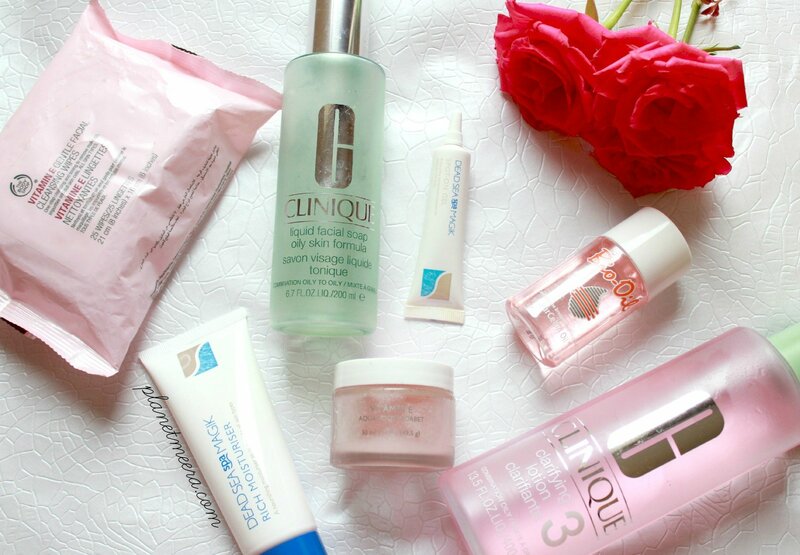 If you’ve read my simple steps to acne free skin post , then you know about my long battle with acne and acne products. It has taken me a long time, a lot of trial and error to realise what causes my stubborn pimple and blackheads. It doesn’t matter how many products you use or how expensive they are, if you are not strict with some rules, it wouldn’t make a lot of difference. I start off with the Clinique Liquid Facial Soap to wash my face in the shower. I pump one time on my palm to form a lather and rub it in a circular motion all over my wet face and neck, then I rinse it off with warm water. 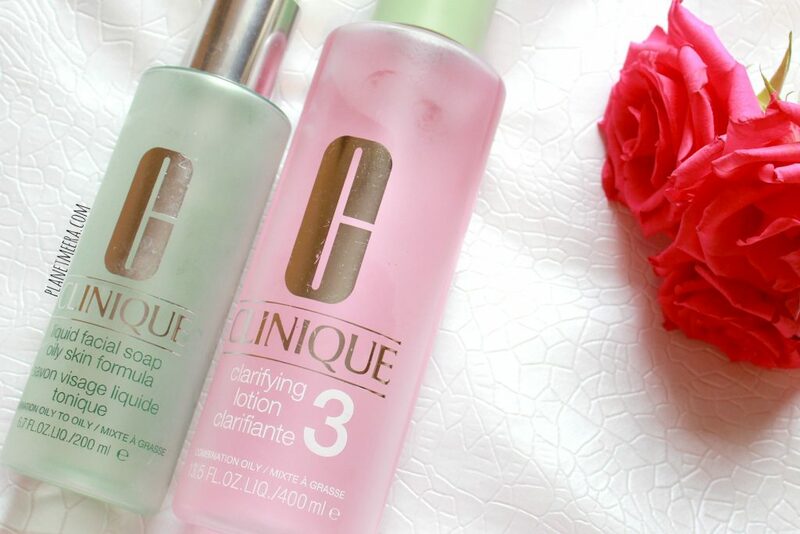 Next I take a cotton pad and apply the Clinique Clarifying lotion in number 3 — because I have a combination to oily skin. All the numbers are for different skin types. I use this as an exfoliant/toner. When I started using this, I used to rub the pad with a bit of force but I noticed redness around my nose, so I reduced the quantity of the product I apply and lessen the rubbing process. Next I apply the Dead Sea spa Magik Rich moisturizer in a build up pattern all over my face and neck. The product is slightly thick, but when you apply it feels light and non-greasy. But due to the oily nature of my skin, I’m careful not to go overboard. I apply just the right amount to get rid of visible flakiness but not too much to feel heavy. It also contains UVA and UVB protection, added bonus! — UVA rays can age us and UVB rays can burn us. Overexposure to either can damage the skin, even leading to skin cancer. 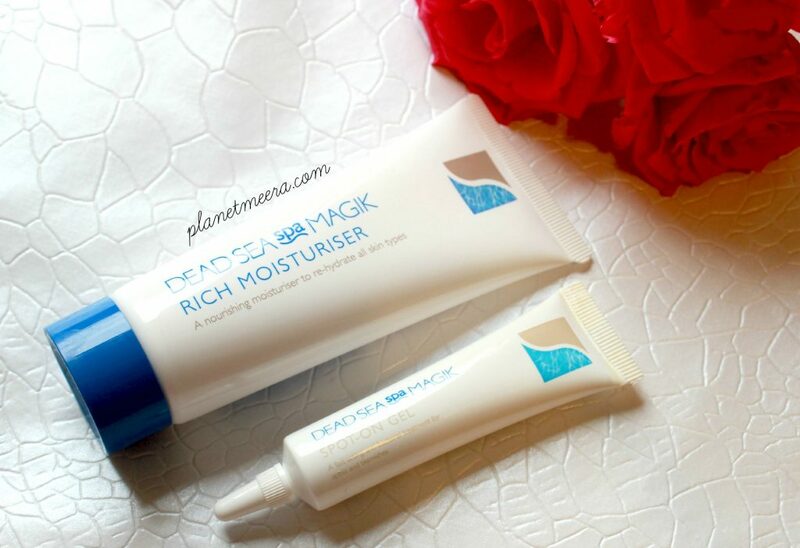 I then apply the Dead Sea spa Magik Spot-on-Gel on all the blemishes using my fingertip. It helps to dry out acne and kill bacteria. I use my fingertip because it is more efficient than a cotton pad, however I make sure my hand is clean. This can be applied over make up as well. 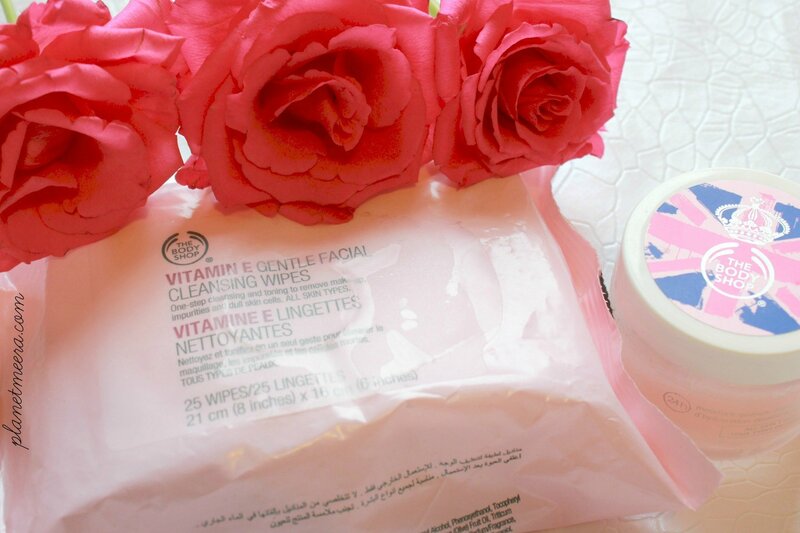 These two products are alternatives, I use the cleansing wipes on days when I wear light makeup. I wipe it off before using the facial wash. I don’t use my makeup remover because the makeup is almost non-existent. I use the Aqua boost Sorbet — which I keep in the fridge for better use— on days when it’s warm and my face may end up being oily plus I wouldn’t be out in the sun. It is very cooling on the skin and it helps that it looks like an edible sorbet. One of the holy grails of Skin Care. 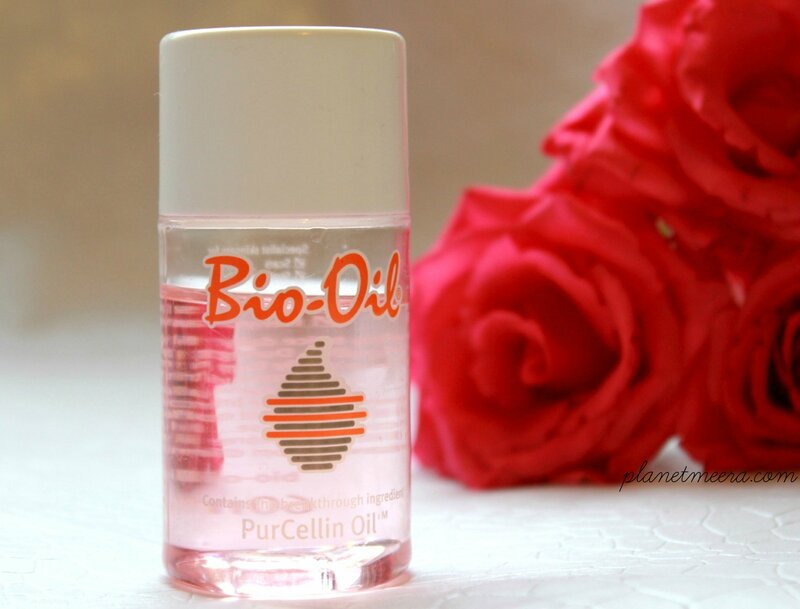 I think every skin-care nerd has heard of Bio Oil, if you haven’t, you need to get with the game. I bought this for use on stretch marks but I wasn’t consistent and so didn’t get the results I needed. One day as I was doing some de-cluttering I found an unused bottle and at the time I had a bad reaction to a product and my face was a bit wrinkly and looked slightly burnt. Welcome to my life. I also had a lot of discolouring caused by acne so I decided to experiment and try applying this on my face. Lo and behold, it was like a magic potion. Not only was the discolouration correcting itself, the wrinkles were fading as well. Well as you can tell I never looked back. The only side effect is that it is not a warm weather option so I use it after my night-time skin care routine to replace the moisturizer and I sometimes mix it up with the sorbet to quench up my face. I imagine little bio elfs working at night to correct my face and it feels good! I have a few products that I am planning on adding to my regimen, I shall update it on the blog as soon as I get them. Keep an eye-out for my Weekly Skin care routine and Pamper Session. Until next time. I’m at House of Fraser and give it a go.